I get the appeal of digital forms for a game book. I really do. Heck, I'm often looking at them every day here on my computer. However, I will always still love to have a hard copy of a book to look through. Just something about actually turning the pages and the feel of it. 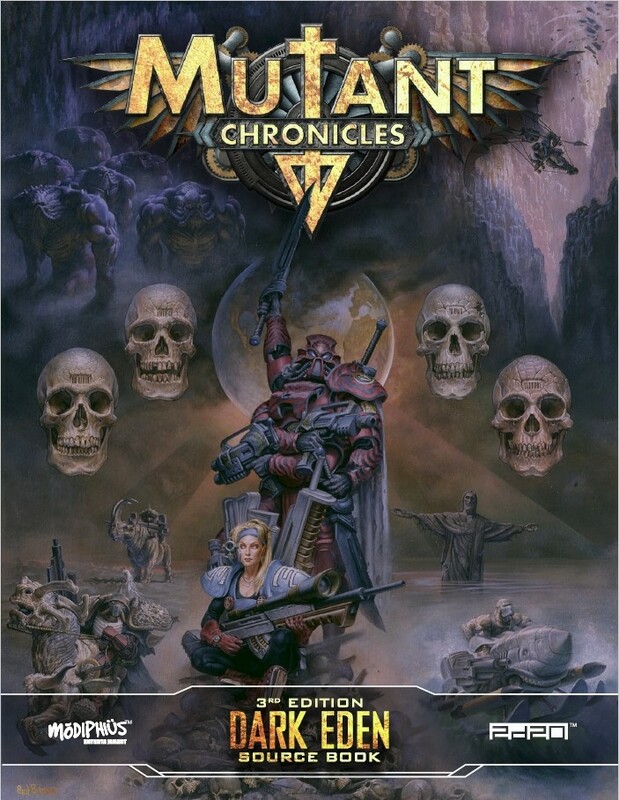 If you're a fan of hard copies of books, you'll be happy to hear that the Dark Eden Sourcebook for Mutant Chronicles is now available in hardcover form. Today we're really pleased to announce that the Dark Eden Source Book has arrived in a print, following its earlier debut in PDF, both are now available on Modiphius.net. The perfect accompaniment to our recently released Dark Eden Campaign, the Dark Eden Source Book is a complete guide to humanity's abandoned home and will provide colour, depth and flavour to the climax of the Mutant Chronicles saga, as well as for covert adventures in your own campaign.